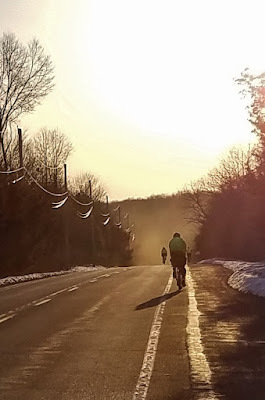 The Lackawanna 200k remains scheduled for Saturday, March 24. The start time will be delayed by 1 hour to 7:00am. This allows a little extra time for roads to warm up AND allows riders to start in daylight. Historical performance on this route suggests that riders should finish in the daylight as well. The Hostel parents inform me that only a very small portion of the parking area was cleared of snow. Parking will be extremely tight. If you can carpool, please do. When you arrive, please park efficiently so everyone can park. I am also advised that the ground is quite soft, so keep that in mind when parking. Everything else will be as always. The hostel will be open; they even have power! There is plenty of space for those wanting to stay Friday or Saturday. Breakfast will be available 1 hour before the start. 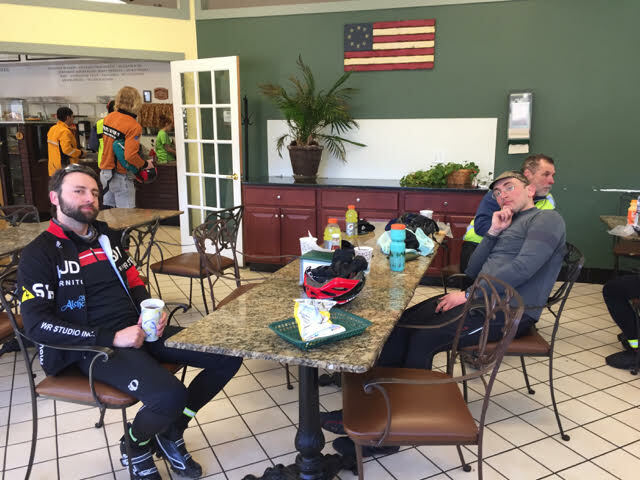 The post ride food will be there. The route should be pretty with plenty of snow-covered vistas and hopefully dry, black pavement. 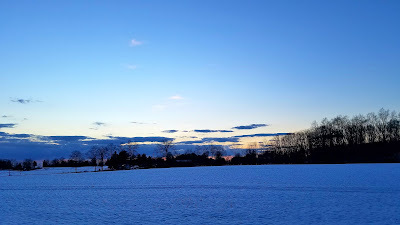 Winter weather is to be expected in January & February and this winter has certainly challenged my play-calling. 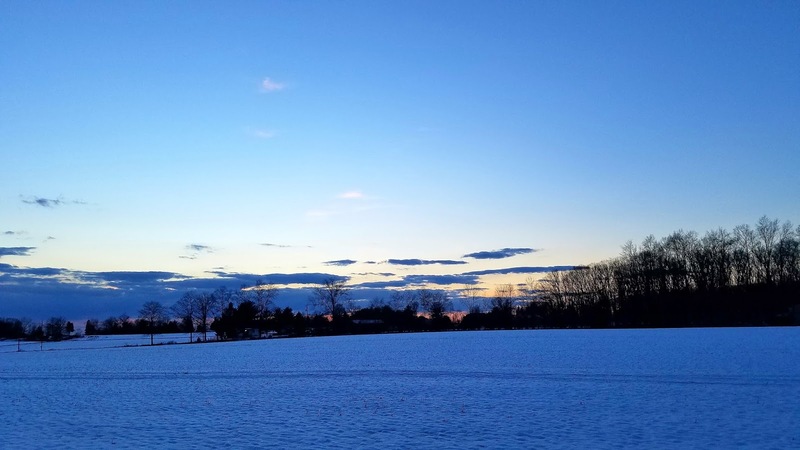 The latest Nor'easter blanketed the area on the second day of spring. Totals in my area range from 12 to 18 inches. I'm certain northern New Jersey got at least as much. Thankfully warm and windy conditions should melt and dry the roads. I will be consulting with locals today to assess road conditions on the Lackawanna route. Given the logistical complications of a hostel-based ACP brevet, my preference is for the brevet to occur on Saturday. Stay tuned. You'll want to make sure you have the 2018 edition or you may find yourself backtracking quite a bit due to bridge construction. 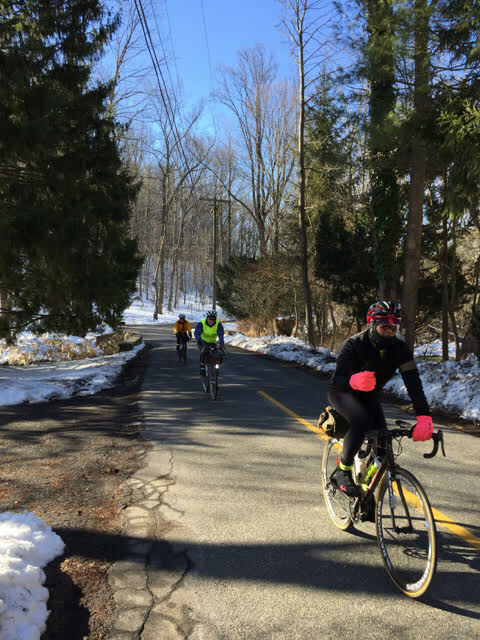 With the worst (hopefully) of winter behind us, it is time to look toward the ACP-sanctioned portion of our 2018 schedule and the PA Randonneurs SR series. Details of the first event, the Lackawana 200k have been posted on the website. Registration is open. 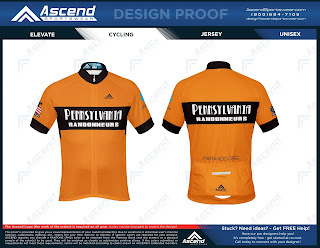 At long last we are also moving forward with a non-wool option for the classic PA Randonneurs jerseys. We will be using Ascend Sportswear to produce the jerseys. Three options for materials are planned: Elevate, Volare, and Apex. These may change slightly as I finalize the details with Ascend. Sizing and material samples will be available at the March brevet for interested people to see first-hand. Ordering is handled by Ascend. You will have the option of having your jersey mailed directly to you from Ascend or you can save the postage and pick it up at one of our later events. Ascend will create a "store" for us on it's website where you can order and pay for your jersey(s). That store will be opened a few days prior to the brevet and remain open for approximately three weeks. The jerseys will be produced at that time. Delivery is expected 5-6 weeks after the store closes. My morning ride group commissioned custom kit with Ascend last fall. I ordered an Elevate jersey and am very satisfied with the quality and comfort. There is a minimum order quantity for this project. Hopefully you all saved a few cycling budget dollars for a new warm weather jersey. The best aspect is that we can easily arrange for additional runs should the demand exist, even if that is next year. 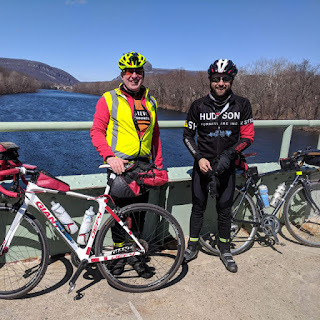 The PA Randonneurs "Store" is now open. 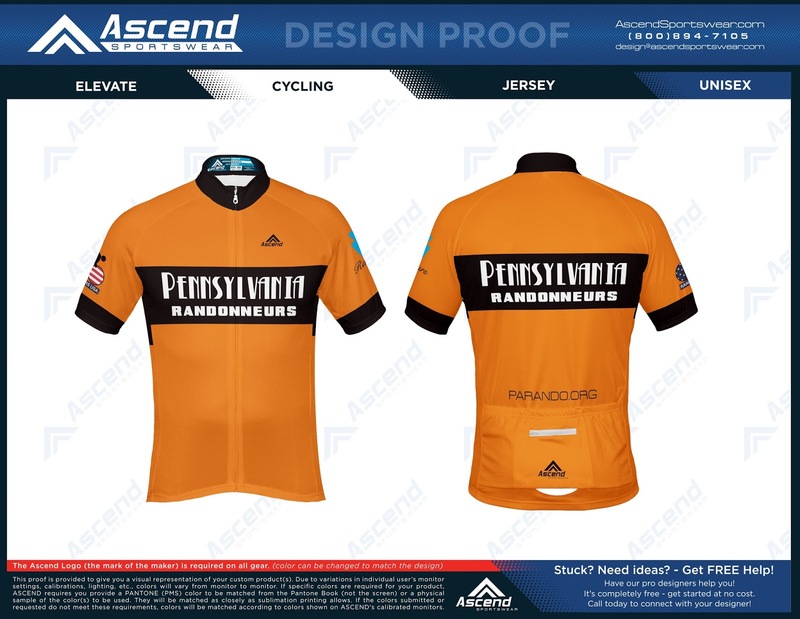 For anyone interested in jerseys made from modern synthetics, a reminder that PA Randonneurs is about to begin an ordering process for jerseys from Ascend Sportswear. You can check out sizing a material options on the Ascend Website. Jerseys will be available in Elevate, Volare Elite, and Apex materials. You will also have the option for long sleeve, short sleeve, or sleeveless. Ordering will be though a specific page on Ascend's website (our store). The store will "open" on March 24 and remain open for 3-4 weeks or until we reach a minimum order point. The jerseys will be completed roughly 5 weeks after the store closes. You can opt to have your jersey delivered directly to you or save shipping and pick it up at a brevet later and save the shipping costs. The design mimics the classic PA Randonneur wool jerseys. The rendering below is close, but I can confirm that the vertical positioning of the black band is the same as on the wool jerseys (the top of the band is at the armpit) which differs slightly from the rendering. You will find sizing guidance here. Samples of the jerseys will be available at the March 24 200k for those wanting to confirm sizing and materials. I recently ordered one of their jerseys and am very pleased with fit (sport cut) and material quality (Elevate). While I do not yet have a link for the store, check back around the 24th. I will update this post with the link when it is created.